We talked about this on the last episode of Addicts Live, but with the OS update rollout for Android Pie, the “Zoomed In” issue is expanding. Those still using Android Oreo OS, or an even earlier version should have no problems. However, as the devices start their rollout of the new OS the “Zoomed In” issue will continue to expand. I recently (as in this week) updated my devices from a Samsung Galaxy S8, running Android Oreo, to a Samsung Galaxy S10, running Android Pie. I had no issues with my S8, as soon as I launched TSTO on my S10 zoomed in city! While I don’t have an Amazon device, I know that it runs on its own version of the Android OS. So I believe the two issues are directly related to an update in the Android software. While it’s not a massive issue and doesn’t hinder the ability to play, it is REALLY annoying. It makes designing difficult, and it’s really just a royal PITA. The good news is, this has happened before. So it is fixable. EA has fixed this before. So, EA, get on it already! Any players out there experiencing this? What device are you using? What version of the software are you using? Share your thoughts and some screenshots of how Zoomed in your town is, when it’s all the way zoomed out, in the comments below. 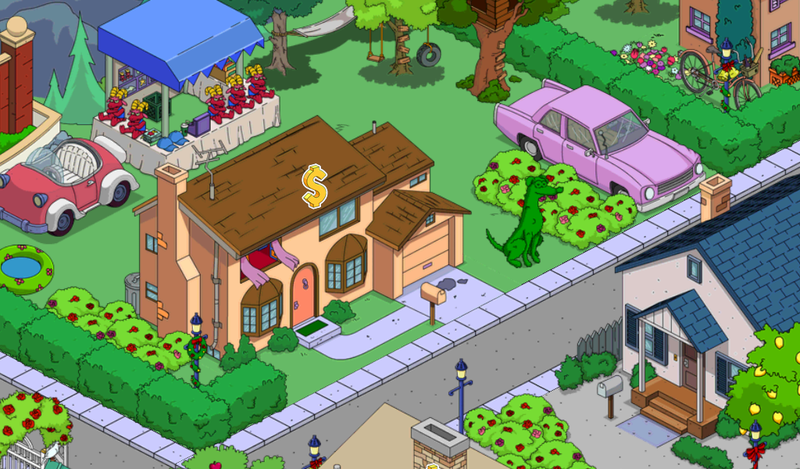 This entry was posted in Tapped Out and tagged Tapped Out Tips and Tricks, Tapped Out Zoomed In, The Simpsons Tapped Out, TSTO Addicts, TSTO Bugs, TSTO Tips and Tricks, TSTO Zoomed In on Amazon, TSTO Zoomed In on Android. Bookmark the permalink. Alissa, didn’t you say in a comment before that EA are attempting or attempted to fix the zoom issue recently but “they haven’t found the right button to press” yet to sort it or something along those lines? I didn’t realise that it went onto some Android versions now but hopefully when the next store update major or multi event or starts it will finally be resolved. My Samsung Tab A device can get me zoomed into 17 orange houses filling the screen, and the houses still spill a bit beyond too. My iPhone SE gets 4 buildings filling the screen. Had very little issues with my game and devices. Have always found EA to be helpful, as long as its dealing with TSTO. Having them fix anything on Plants vs. Zombies 2 has finally gotten better. They used to be a real nightmare on my Samsung device. Im also pretty minimalistic on my devices. 3 games on the Samsung, only TSTO on my iPhone, if that helps any. I haven’t had the zoom bug since it was fixed on my Galaxy S7 Edge last year. However, I have had an issue with the phone losing connecting at least five times each day. It usually happens while I am in the middle of tapping away on KEM farms or Rat Truck farming. I restart the game and receive just two sets of donuts when I should be receiving many more. It sometimes happens when I press the Sky Finger Monument too. It has happened on WiFi and on my cellular network. This leads me to believe that it is a problem with the game itself or with my phone’s memory dedicated to the game. Also, before upgrading to the S10, I used the S9 running Android 8 a.k.a. ‘Oreo’ (don’t remember what TSTO version, but it was during the State of Despair event) … both the S6 Edge and S9 had no zoom issues. Both the S10 and BlueStacks have the horrible zoom problem, hopefully EA will correct this soon. Off topic here but add the @$#*!&% golden goose again…. u leave the reunion book but no way to get more land.. add it again or atleast let me buy the $! @# land. This is dumb now I cant get ANY land. You let it n stores for a little, so only the farmers n Chad’s can get it only to turn around n farm more donuts.. n screw the rest of us over whom play legit. Seriously. And they say cheaters never prosper. I don’t farm donuts (I buy them the old fashioned way) but I bought GGR when it first came out. If you do the same with donuts, why didn’t you buy it originally? Did you not realize what it did? Sounds like you’ve got some misplaced anger. You’re blaming EA (and donut farmers. Who don’t cheat. They’re playing a legit way, it’s not cheating) for you not buying it in the first place. Sooooo many flavors. You chose salty. Really surprised GGR is not a permanent premium item. I also farm, but bought GGR using paid for donuts as I just don’t like grinding for donuts all the time. If EA thought donut farming was cheating, then they would have closed that loophole. They haven’t. I’m an iOS user, and I compared my zoom levels to an Android user a couple of years ago, noting that he could zoom out further than I could, but I could zoom in further than he could (if memory serves). I thought it was mildly annoying, but just chalked it up to idiosyncratic platform differences which weren’t likely to ever change, possibly linked to the pixel density vs the screen size of different devices. At this point, it seems like maybe EA is having *increasing* difficulty in handling those hardware differences, potentially stemming from the growing variety of mobile devices, both iOS and Android. Since Android users appear to be the most adversely affected — at least, lately — it might be helpful to further narrow the cause of the issue if we could get observations from someone who has upgraded the OS on their existing Oreo device to Pie, as opposed to swapping out their entire phone. Anyone? Kindle Fire here and I can see right up Homer’s nostrils. Yuck! I can’t redesign my town and I can’t FIND anything! Not only have I been dealing with the zoom issue since my S8 updated almost 2 weeks ago, but I also have issues with my game redownloading almost every time. I have deleted apps and some pictures and videos. My phone says it has 26.1 GB of free space, so I don’t know why this is happening. I am at my wits end with this and very close to being done. Sorry for the rant. Thanks! I’ll give it a try. Unfortunately, that did not work, assuming I did it correctly. I have an LG G4. Its an Android. I have no zoom issues in my game. It would make me nuts. Thats as technical as my brain gets. I AM worried about my phone going down that “older device road” though….. I also found that its an Android 6.0. If you want to know what Android operating system (OS) you are running, you can find it through your “Settings” app (on my phone a blue icon with a white gearing). After you open it, select the option named something like “About phone” or “About device” (it may be at the bottom of a list, so scroll down). On my phone that then brings up a list which includes “Software information”, which when selected brings up another list which includes the “Android version”. (I have a Samsung Galaxy J7, so your experience may be different, but hopefully this should be similar enough for you to figure it out). If you have some version of the Android 8.0 operating system (OS), you have Android Oreo. 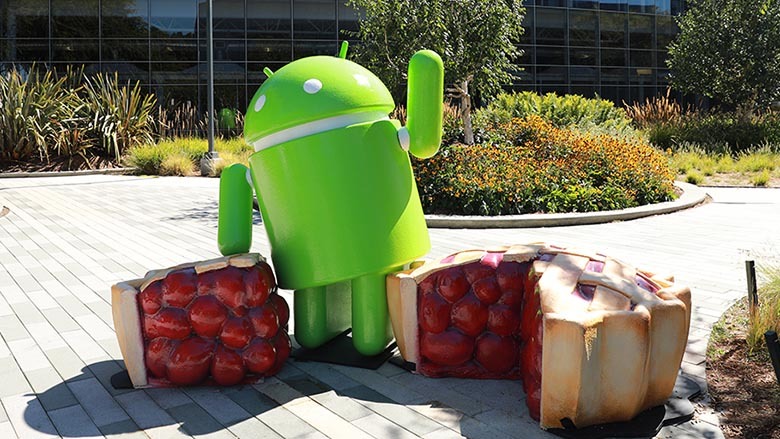 If you have some version of the Android 9.0, operating system (OS) you have Android Pie. Hi, thanks to your videos I just realized for the first time that my town has ALWAYS been zoomed in! 😲 My max zoom out is about the same you have now on your new device. I’ve been playing for about 3 years and I’ve always thought it was annoying that I couldn’t zoom out more, but I had no idea that it should have been possible all along! I use miui 10 which is based on Android Oreo and I’ve always had this problem as far as I remember, so even with the previous version of Android. Thank you for the answer, unfortunately I can’t find anything useful, so I think I’ll try to contact EA and hope for the best! Yes, EA should work towards eliminating the “zoom issues” (I feel sorry for those using Amazon Fire Tablets, you deserve to have fun tapping). So it wasn’t my imagination… I’m using a OnePlus 6 with Pie but this last months I didn’t really gave much attention to the game (except for the regular event tasks…); Yesterday I spent more time into it to start fixing my ploppertown and I notice the issue… Is really annoying.. This has been an issue since my S6, three years ago. I reported it then, several times. Don’t hold your breath. I had the issue on my 6 about 3 years ago, but a patch was released and it fixed it. Surprised you still have it. It’s been this way on my Kindle Fire 7 since the town-photo feature showed up. Honestly, I’d be thrilled with the zoom problem pictured in this post…with mine, and I assume other Kindle players, it’s zoomed SUBSTANTIALLY more than that. I do enjoy the game, but this just robs it of SO much of its charm. With every update that doesn’t fix the issue, I am less and less hopeful. Plus, now I have a bunch of new-to-me premium items, and I’ve just had to plop-plop-plop all of them. Designing is un-possible! Since forever. Samsung S7. Last year after some TSTO updated, it zoomed out a lot until the next update. I was in love with that view, now it sux. I can see like 10 houses at once. So lame. Would be nice to be able to zoom out to see like 25% of the whole game space. Is that too much to ask?? Now that it is spreading maybe they will fix us Fire users – ZOOM US OUT!! Yes! I am on my Galaxy S8. I didn’t really read about anyone else with an android having it, so I thought it might have been just me. Good to know it isn’t just me. I’ve noticed no difference in zooming behavior on both Nokia 6 (2017) and Nokia 8 Sirocco when they moved from Oreo to Pie. I’ve had this problem on my iPad for maybe a year now. It’s fine on my iPhone though. My iPad is kinda old so maybe that’s why?? I do keep up with software updates though. My Town has been “ZOOMED” since February. I hardly play anymore and at this rate will probably quit for good any time now. Ive wrote EA many, MANY times. They said theyd fix it but theres been 3 updates since then (maybe more). So Im skeptical. Fingers crossed they fix this before I quit. I was a daily player for years. I feel very backstabbed and abandoned. Like they ruined the game for me and dont even care. Like Im disposable. This bug has been for years on Galaxy Tab s2/s3. Really annoying. For almost a year I also have the problem, that the buildings are not loaded probably and I can’t even see most of them. It’s been on different devices (Galaxy Tab s2/s3) so it’s not only a problem on my device. Don’t know why they haven’t fix it for over a year now. I can send you guys pictures how my game looks for over a year now on my Galaxy Tab s3 compared to my Samsung S7. Pretty much unplayable. Ah yeah, and there is also this bug where the game starts lagging REALLY hard when I send someone on gathering metals. Also over a year now! Well as you know I have commented about this a couple times (on the addicts live comments a rather long rant about it) but I just wanted to say I am glad it is an android issue now bc when it was just an Amazon issue they said it could NOT be fixed, it was impossible. Bet that won’t be the case now. And your “zoomed in” on Android still is not as bad as Amazon, it is zoomed in even more than that! It is a major PITA! To collect, to design, everything. Now everyone will see what us Amazon users have been so upset about. Send me a screenshot of an area of your down when it’s zoomed all the way out (TSTOAddictsblog@gmail.com) and I’ll add it to this post. As this is an issue with a new device, may I suggest that you check if you’ve changed the S10’s default low-resolution mode to its full display resolution in the devices setting? Another place to look at is the Game center / tool / settings app that Samsung ships and that does include options to reduce the internal resolution on a per-game-basis to increase performance. I know that TSTO’s max zoom levels are dependent on the display resolution of the device, so that right might be why the S10 is allowing less zoom-out out-of-the-box. Disclaimer: I had a similar issue when I tried my sister’s S9+ for TSTO last year and I couldn’t get it to use full resolution / proper max zoom in the 30 or 40 minutes I spent and didn’t investigate further. It may in fact no longer be possible to set the S9 or S10 up to allow the same max zoom of early Galaxy S devices with similar display resolutions. Yea I’ve tried a bunch of stuff. Same here – my Galaxy Note 8 went from normal to zoomed-in after the Android Pie update.